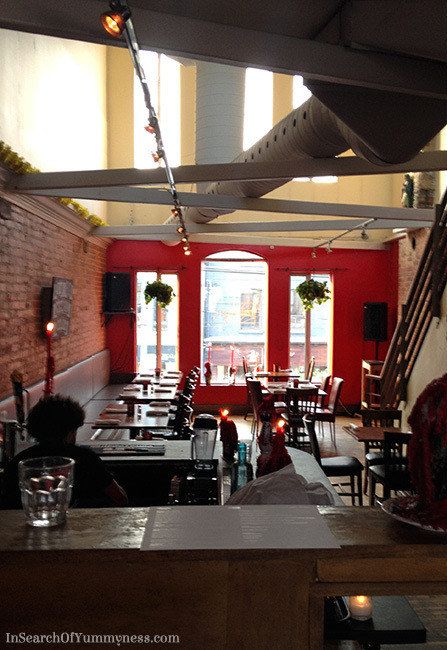 The restaurant on Queen West is one of three Milagro Cantina locations in Toronto. All of the restaurants serve authentic Mexican cuisine, and boast impressive varieties of tequila, mezcal and other spirits. When my brother and I arrived at the restaurant, and were directed to the upper floor. 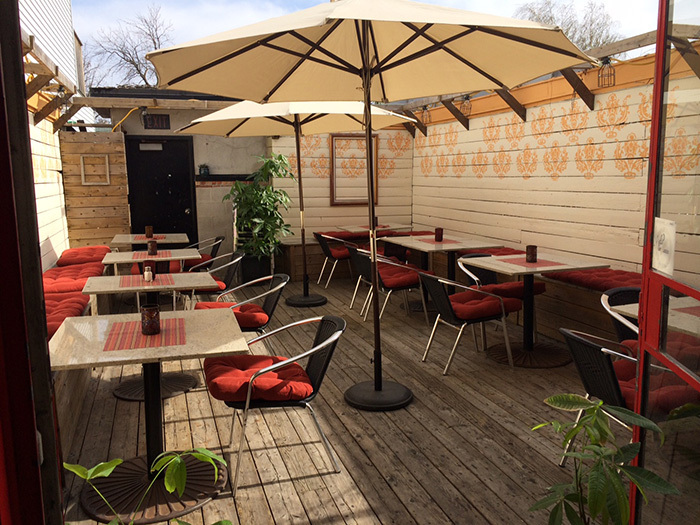 The restaurant itself is really attractive, but you can’t beat a rooftop patio on a nice warm day (see first photo). We headed straight for the bar, and grabbed a couple of drinks. I had the Margarita Tradicional made with Feria de Jalisco Blanco, Grand Marnier and lime. 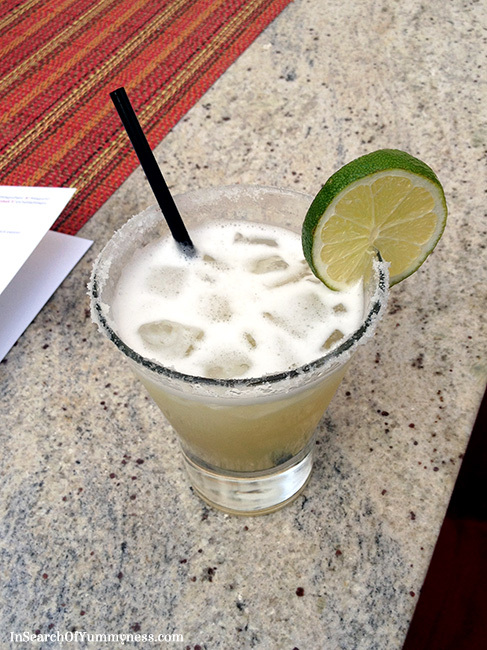 It had that wonderful tangy/salty flavour that you would expect from a classic margarita. My brother decided to go with the Margarita Milagro. This spicy and smoky drink is made with Chile Ancho and Pasilla-infused Jimador Reposado, along with Grand Marnier and lime. This drink has kick! The mixologists were really friendly, and we enjoyed watching them work. They make it look so easy! We had arrived fairly late in the evening, and all of the food from the party was already done. Still, I figured that I’d be able to make it through the tequila tasting without too much of a problem. Blanco tequila is bottled after the second distillation of the agave plant. It is clear and has a strong flavour, and a distinct bouquet. Reposados are amber in colour and are aged in oak barrels for at least two months. They have a smoother and more mellow flavour. Anejos are dark coloured, and are aged in oak barrels for at least one year. They have similar characteristics to whiskey and bourbon. 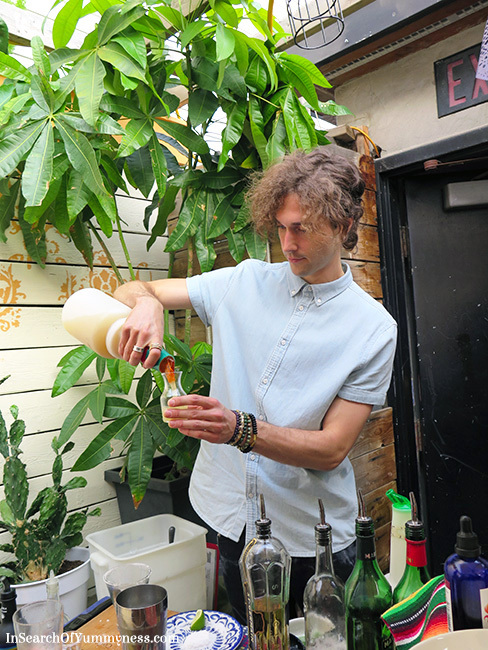 The Blanco tequilas started off smooth, then had a strong finish. The Reposados were less intense, and the Anejos were really intense. Mezcal is a spirit distilled from the Agave Americana plant. The plants are cooked for three days in pit ovens, which gives the mezcal a distinct smokiness. Various fruits, spices, vegetables and, in some cases, cured meats can be added to the plant “mash” to add flavour. Unlike tequila, mezcal is produced all over Mexico, using different agave plants. This means that the flavour of mezcal is highly varied from region to region. 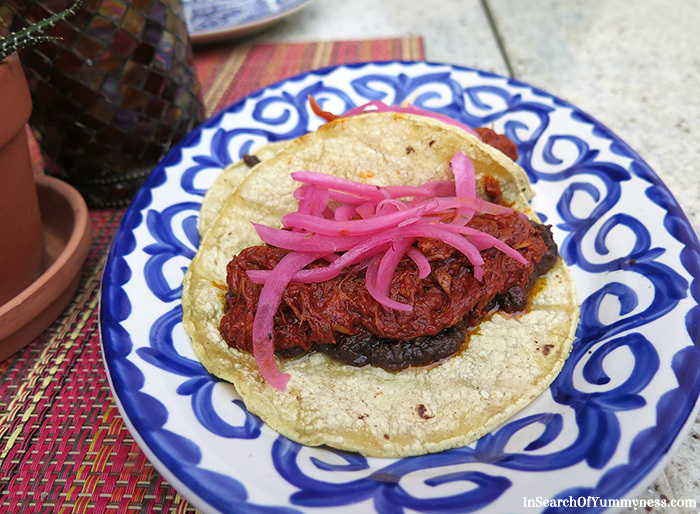 I didn’t enjoy the mezcal that I tried… it was intense and smoky, and burnt all the way down. To be honest, I think that in general I prefer my tequila/mezcal to be in a mixed drink rather than in a shot glass. I think we tried 6 or 7 of the 8 different types of tequila and mezcal, which is a lot for a lightweight like me. By that point I started to feel a bit… dizzy. 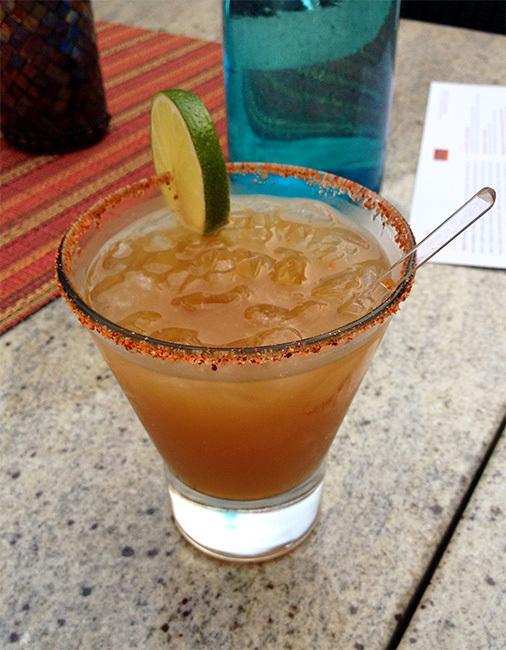 Chef Arturo offered us some Sangrita, a popular tomato-based chaser that is usually enjoyed after tequila shots. I LOVED the Sangrita! It was like a Caesar cocktail, but so much better. Chef Arturo offered to make us some tostadas, because he didn’t want us to leave hungry. I thought that was really sweet of him. I was also really grateful for the food because my head was really starting to spin! We also had the Tropical De Pescado Ceviche. 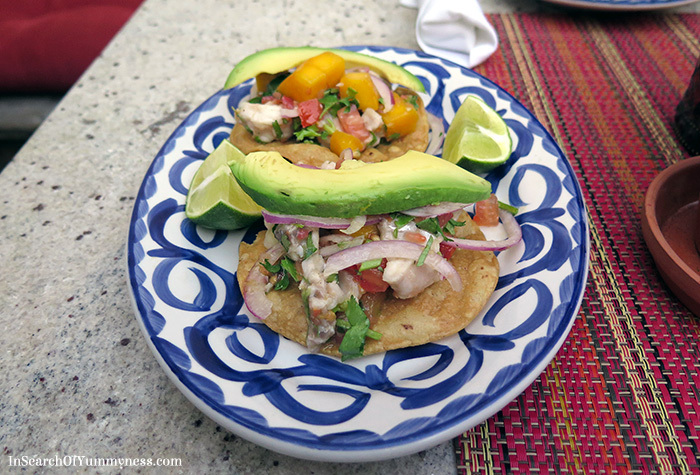 This dish has red snapper, mango, cilantro, red onion & slices of avocado. The mango was a really nice touch on this dish, as it added sweetness and a touch of acidity. So, while I had a bit more to drink than I should have… and I discovered that tequila shots are not really my thing… I did gain a lot from this event. 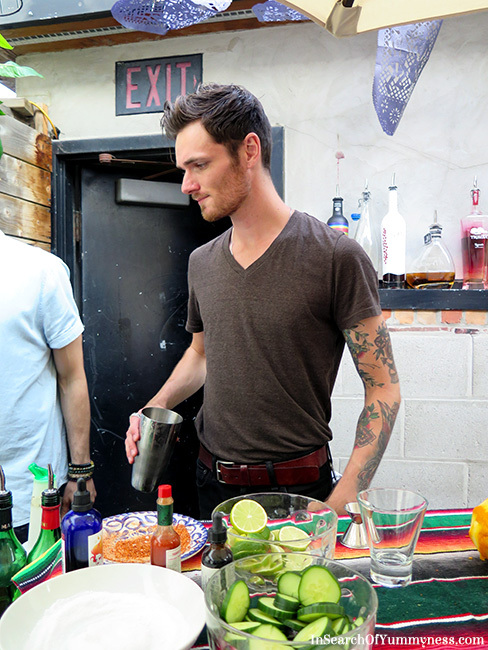 I learned a lot about the different kinds of tequila and mezcal. I finally learned the truth about “tequila worms”. But most importantly, I’ve discovered a new Mexican restaurant that serves delicious food. 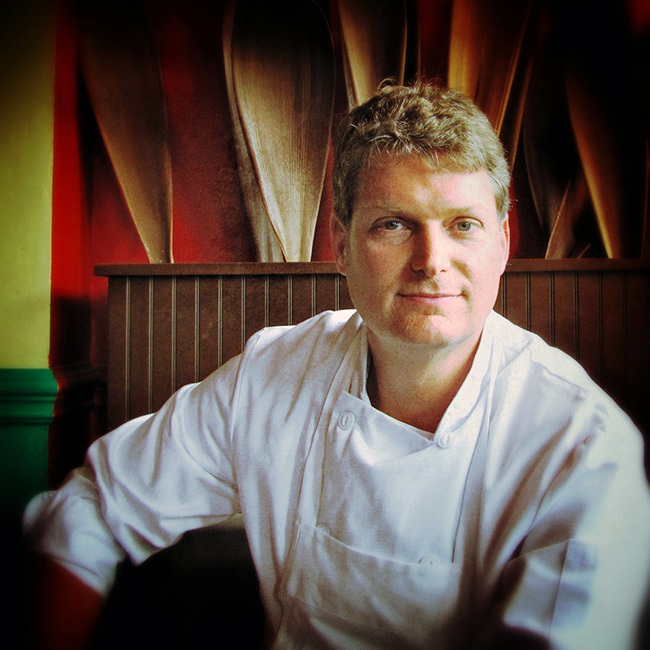 I can’t wait to go back and enjoy more dishes from their menu! This meal was complimentary, however, my opinions are genuine. Images without my watermark are used courtesy of Milagro Cantina.